There are things millenials like that I also like. Puppies. Gathering their stuff together and taking pictures of it**. The oversharing and anthropomorphization of pets. And this color, also known as millenial (or tumblr) pink. 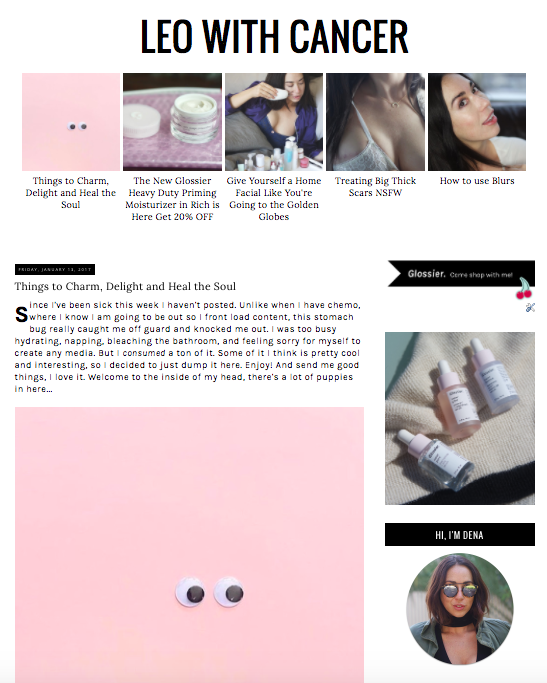 I first noticed the color emerging around the time I became obsessed with the cosmetic brand being launched by my favorite beauty blog Into the Gloss, aka Glossier. I don't know why I liked it, but I loved it. Shortly after came my pinterest board, creatively titled: Pink Things. The first pin is something called the Palace of Winds, which is a glorious structure located in a place called Jaipur, that resembles nothing if not an architectural wonder dipped in pepto bismol, and and then frosted. Little did I know that I was cresting the wave of a tide soon to wash over my instagram feed, turning it from a multicolored photo sharing app into something resembling a photoshoot in the barbie dream house. Like me, other internet people can't seem to get enough of this color. So what is it exactly? It's sort of a range, varying from diluted Raspberry Lemonade G2 to salmon cream cheese. It's a pink that is more fleshy, or peachy, than purple. It's the Valencia filter. It's rose quartz polished, if you squint your eyes and allow the white streaks to blur with the pink. The pantone color developed to try to capture it has been dubbed "pale dogwood" but the truth is that millenial pink has been messed with in so many digital ways you have to know it to know it. It's not supposed to be cool but it is. To achieve the perfect shade of Glossier Pink, one of the progenitors of the millenial pink, it's a 70 percent saturation of PMS 705. But really, it's a whole family, Millenial Pink, or "Tumblr pink" for those who hate to refer to themselves as millenial. And it's earned the moniker because "millenials can't seem to get enough of it." Behold this collection of some of my favorite things, gathered in a mad dash through my home**. Yes, I grabbed pepto bismol and gatorade. Look at this spread - Glossier, Everlane, French Girl Organics, Apple, Fenty by Rihanna for Puma, Miu Miu, Peach & Lily, Bkr, Renee Rouleau, Gatorade. From big brands to Etsy seller turned Anthropology stocked baby labels, major french design houses to low-calorie female targeted sports beverages. The ample offering of not pink-pink products I found in a quick sweep of my house blew my own mind. But of course this is not about me. 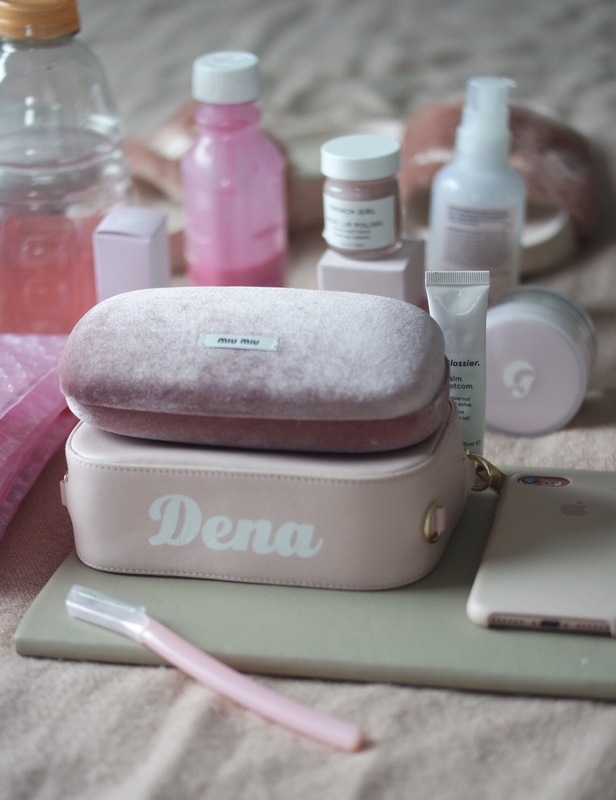 Let's look at a case study: Pop & Suki, best friend/super model duo turned purveyors of customized bags, has an instagram feed devoted exclusively to images in millenial pink, despite offering it's bags in three shades. The other colors (camel and black) are relegated as second class citizens to features in the ephemeral insta stories - despite the remarkable list of A-list celebs snapped sporting bags in this color (think Jessica Alba, Lena Dunham, all of the Maybelline Cover Girls, the list goes on.) Before there were even product shots, they had thousands of people following their pink instagram. I don't know what color their Facebook is, or if they even have one. They probably don't because all that blue framing would hurt their millenial eyes. 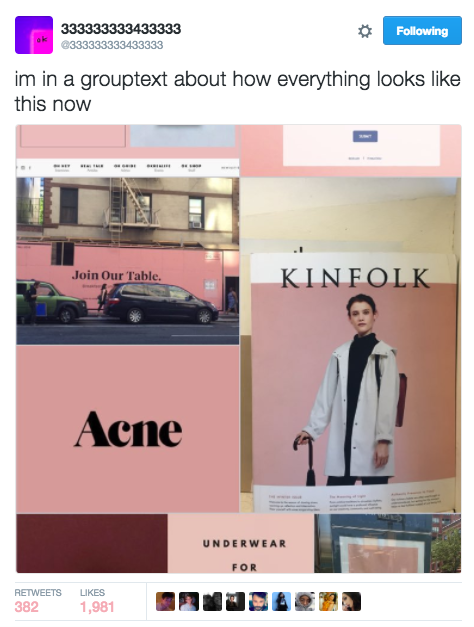 "Acne Studios, Glossier, Kinfolk, and Thinx incorporated it in their shopping bags, websites, magazine covers, and ad campaigns. In October, fashion startup Everlane teamed up with Opening Ceremony for a line of clothing from the same family of pinks and beiges. The music video for “Cranes in the Sky” opens with Solange swathed in a series of outfits, each a sensual variation of that fleshy color. Somewhere along the way, it became representative of a certain female cohort. It became “millennial” pink." So, what makes pink millenial pink? But it wasn't until this tweet went viral (pictured below) - becoming the unofficial repository of brands using this color - that think pieces started to emerge exploring it's ubiquitous nature. A color, even one profligate by marketing exes, insta-influencers, and fashion it girls, is never just a color. In this case, it's rampant absorption into the general gestalt also became a reflection of the way feminism has been adopted by the generation of girls who, through no fault except birth, were lucky enough to be born in the 80s, 90s, and 00s. So what does this muted pink say about feminism? According to New York Mag, "A cohort raised to distrust pink has turned contrarian and embraced a muddied, faded version of the color. This summer, we’re conspicuously reading Sweetbitter, drinking a matching glass of frosé, and Instagramming it all with our rose-gold iPhones. Instead of the minimalism that’s dominated fashion for the past few years, we’re firmly into maximal, ruffled, not-pink pink from the Gucci resort collection (or its Zucci equivalent). We’re in a moment of ambivalent girliness — a moment in which we celebrate, say, Hillary cracking the glass ceiling but can’t quite get into the human embodiment of magenta, Katy Perry, stumping for her, themed nail art and all. We’re embracing our girlier impulses: our vocal fry, the “likes” and “ums” we were told would hold us back, our #girlboss-ness. (Want to take a guess as to the color of that book cover? Yes, it was not-pink pink.) But we’re not quite there yet. We still have to hold something back. There’s still an implicit divide between women who lean into honest-to-God pink and all that it implies, and women who are allergic to that kind of thing." I remember reading about how pink became the color for products made for "ladies" in a history of gender class I took in college, well before there ever was such a thing as millenial pink. I have searched and searched for the book in question (dear 2004, can I get my syllabus emailed to me? thanks) but what I remember most was my professor breaking it down, "How do you double your sales? 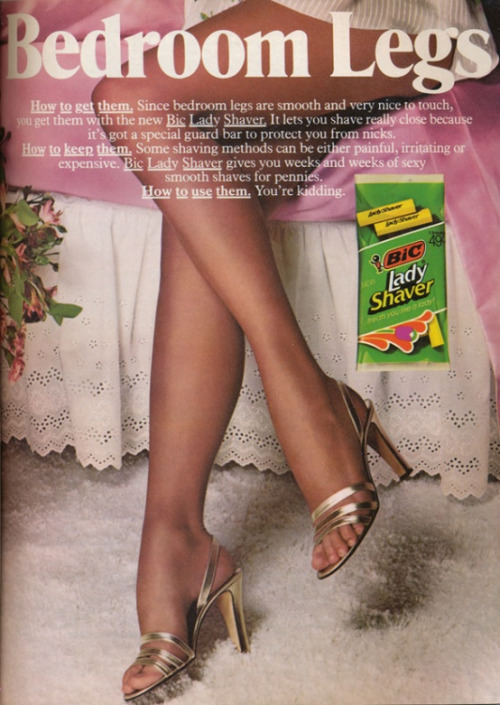 If you're Bic, you convince women that they couldn't possibly use their husbands razors - what they needed was the exact same razor, but this time in pink. One household - two razors, two pens... Instantly double the market." "As F.I.T. fashion historian Valerie Steele explains, 'The idea that pink is for girls really only solidified as recently as the 1940s in the United States. Some people would say, well, maybe pink is for boys because it's a more determined color and closer to being red.' 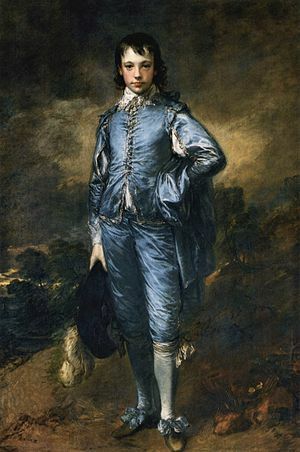 According to Steele, blue was historically viewed as a feminine color because of Virgin Mary frequently being depicted as wearing the color. But, as with most things, media and commercialism changed the public's view on the matter. 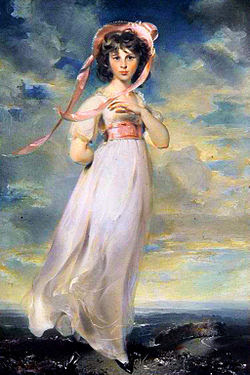 'I think two paintings that came into America in the early 20th century, 'Pinkie' by Lawrence and 'The Blue Boy' by Gainsborough contributed to reinforcing this commercial idea that you could sell pink to girls and blue to boys,' she theorizes." But of course, understanding something doesn't make me love it any less. Oh millenial pink, it calls to me. Perhaps it's the process of reverse association - I love Glossier, I love Solange, I love Everlane, I even love Thinx (in theory, by the time it came out it had been years since I menstruated...) So if the brands I love have whole heartedly embraced this color, infused it with their own cool girl-helmed endorsement, could that in turn be what made me love it? Or did my loving it (along with every other millenial on the internet) draw the brands to it? What came first - the free-range grass fed chicken or the organic, bio-dynamic egg? When I do take the time to explore my feelings about the color pink I find that even knowing about the ways corporations shoved it's rampant consumerism down my throat, even after seeing Susan G. Komen endorse a pink KFC bucket (but not planned parenthood) and even knowing that I was deprived my thriving S.T.E.M carrier because they made pink kitchens and not pink blocks when I was a kid, I still love the color that I think of as baby pink. But of course, I object to the idea that my feminism is somehow watered down, even if that's the way I prefer my pink consumer goods to be. And while I now see it everywhere (and after reading this article you will too) it's like the song I could listen to on repeat. I'm not even close to sick of it yet. My own instagram will veer into cotton candy land if left to it's own devices, devoid of me having a social life or leaving my house. It's the pink of sunsets, of cupcake frosting, of my fingernails when I leave them unvarnished, my healing scar tissue, and SOTC cosmopolitans. So now that you know what it is, what do you think about Millenial Pink? Let me know in the comments below.